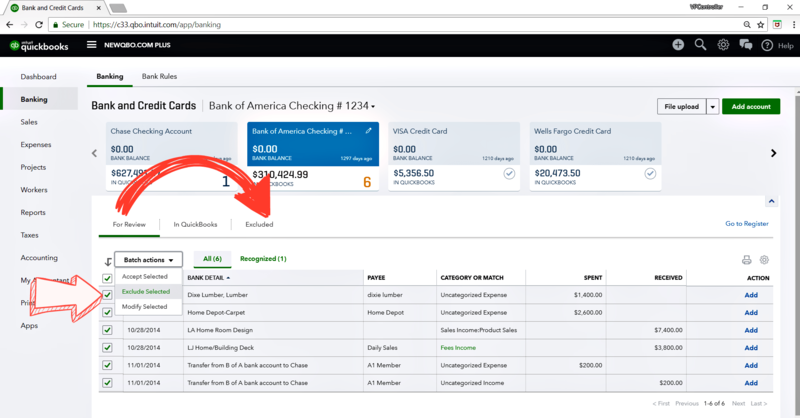 You can permanently delete bank downloaded transactions in QuickBooks Online (QBO). In order to permanently delete a bank downloaded transaction (or multiple transactions) from the banking center, you will first need to move it from “For Review” tab to “Excluded” tab. You’ll see the “For Review” tab, click the checkboxes to the left of the date for the transactions you want to exclude. 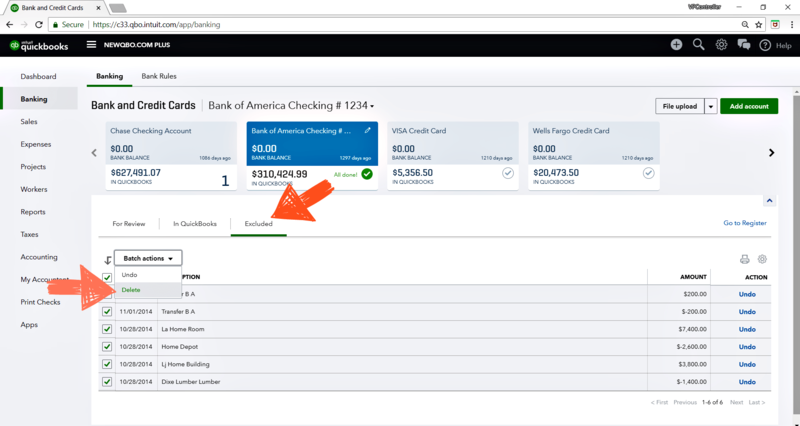 Once you’re done, click the “Batch Actions” drop-down arrow and select “Exclude Selected.” The transactions will be moved to the “Excluded” tab now. You can permanently delete from the “Excluded” tab now. To permanently delete-excluded bank transactions. Note: If you select UNDO it will move back to “For Review” tab.